To open the glove box, raise the handle. 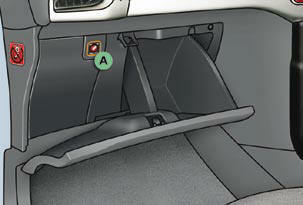 It houses the front passenger airbag deactivation switch A . It gives access to the dashboard fusebox (see the "Practical information - § Changing a fuse" section).